Itâ™s far more elegant and persuasive to present from a video than to simply play a slideshow. And now itâ™s convenient, too: you can load your videos onto a USB drive, play them back using any media player on computers running Windows, OS X or Linux. You can also prepare PPT presentations for burning to DVD by saving them in a DVD-compatible MPEG format. Thanks to predefined settings specific to each of a long list of mobile devices, you can convert presentations to video files that will perform and display perfectly on your device. Transfer your presentations to iPhone, iPod, iPad, Sony PSP, BlackBerry, and other mobile devices so you can rehearse your presentation on the go. Prepare ppt files for publication on your company blog or on sites like YouTube, Yahoo! and more. Because most video-sharing sites don't accept ppt files, you need to convert to WMV, MOV, MPEG, MP4, 3GP, FLV, MKV or AVI to share your slideshow with the world. And now you can. When you convert ppt presentations to video, you can add music and a voice track. Turn on the Record Sound option and choose Microphone – now you can comment on every slide when the conversion starts. To add background music, choose Speakers and start playing back the music via a media player alongside the ppt conversion. When we created our PowerPoint-to-video converter, we concentrated on making the software user-friendly and intuitive to help you get the best results in the shortest time. Timing, slide duration, output video settings – all settings are customizable and changes right at your fingertips. You preserve the settings of the original ppt file too, if you wish. 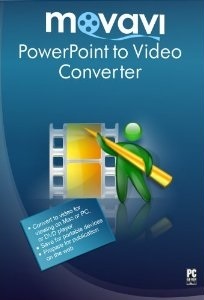 Convert Microsoft PowerPoint 2000, XP, 2003, 2007, 2010 presentations – ppt, pptx, pps, ppsx, pptm, ppsm, potx, potm, pot – to more than 170 video formats: AVI, MPEG-1, MPEG-2, MP4, FLV, MOV. Convert ppt files to MPEG-2 or MPEG-1 so your presentations can be distributed on DVDs for playback on DVD players with MPEG-2 support. Convert presentations into the format supported by a particular mobile device – just choose the right preset from the huge variety offered. Work is not a place anymore: business trips, home-based business – make sure you have all important presentations right at hand. YouTube is not a bad variant at all. To prepare a presentation for uploading to video-sharing sites, simply choose the right preset – YouTube, Facebook, Vimeo, and more – from Online Video profile and start conversion. When you convert ppt presentations to video, you can add a voice track. Just check the Record Sound option in the Audio Settings tab and select the Microphone radio button. Now you can comment on every slide when the conversion starts. To add background music, just select Speakers and start playing back the music via a media player alongside the ppt conversion. 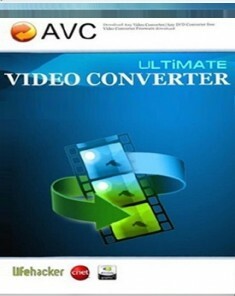 Movavi PowerPoint to Video Converter has a built-in list of the most popular resolutions. Choose one or specify a custom resolution for your presentation. Choose to advance slides manually or automatically, or leave as defined in the original presentation. If you choose to advance slides manually, you will need to click the Next button every time you want to go to the next slide during the conversion, useful when you record narrations. If you want to advance each slide after the same period of time, choose to advance slides automatically and donâ™t forget to set the timing. When you convert presentations to MPEG-4, MPEG-1,2, H.264, WMV, or FLV (with H.264 codec) with the same input and output video parameters, you can activate Automatic Bitrate. This feature ensures the best balance between size and quality for the converted video. If you're not sure which bitrate is the best, just choose "Auto" bitrate in the Settings window. Advanced users are sure to appreciate the manual adjustment of output media file as bitrate, aspect ratio, etc. 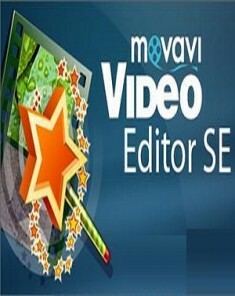 Movavi software demonstrates superb speed of video conversion on AMD or Intel multi-core processors. Thanks to accelerated DVD conversion with NVIDIA CUDA-enabled GPU you can convert at 8x the speed!